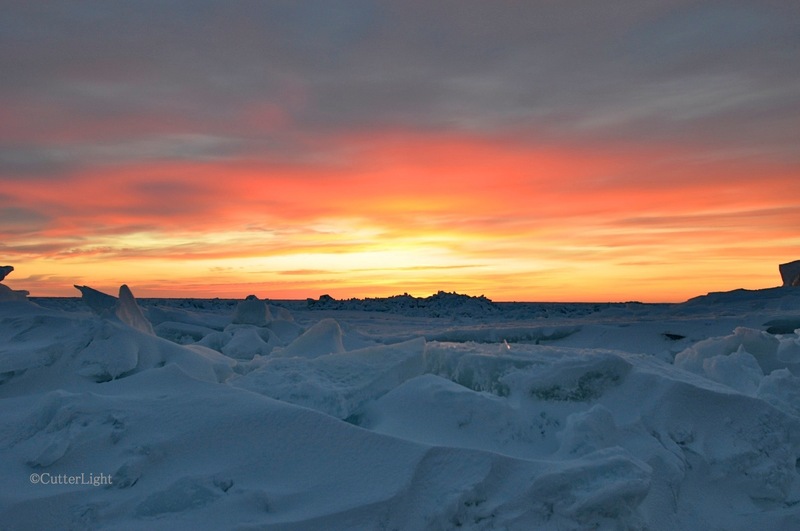 This November 19, 2011 sunset looking out over a Chukchi Sea nearly frozen solid reminded us of a Mark Rothko painting. 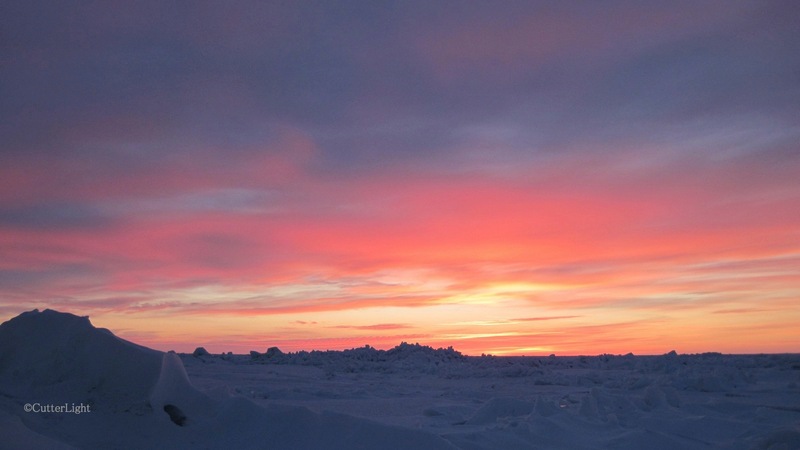 The quality of light in the far north is often breathtaking. 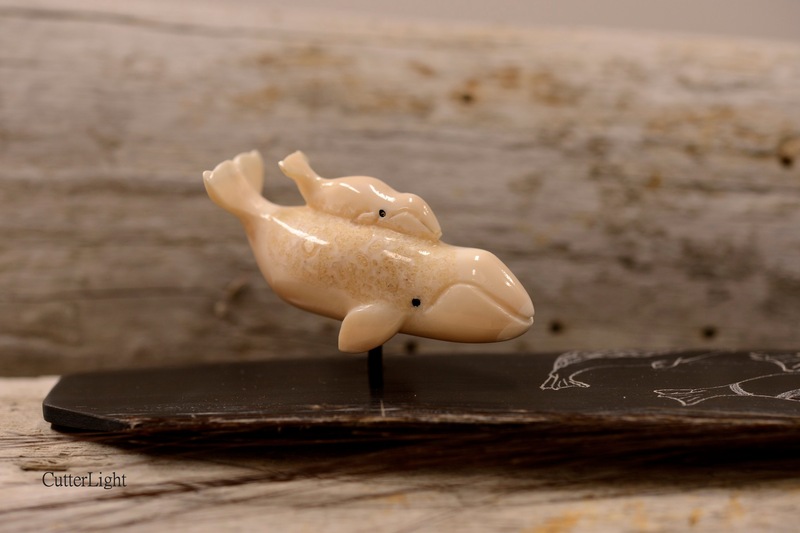 Bowhead whale mother and child: Walrus tusk ivory with bowhead whale baleen eyes set on bowhead whale baleen. The baleen is scrimshawed with marine animals commonly hunted for subsistence by the Inupiat people of Point Hope, Alaska. As we’re preparing to leave Point Hope, we wanted a piece of local art to take with us – something that captures the spirit of Tikigaq (the traditional name of this village). Henry Koonook is both an outstanding carver and a friend, and so we commissioned this piece. Detail, scrimshaw on baleen of ringed seal and walrus. Henry still does most of his work with hand tools, using local natural media. The entire piece measures about 11″ x 3″. Henry Koonook’s signature and the year the piece was created are visible in the lower right corner. 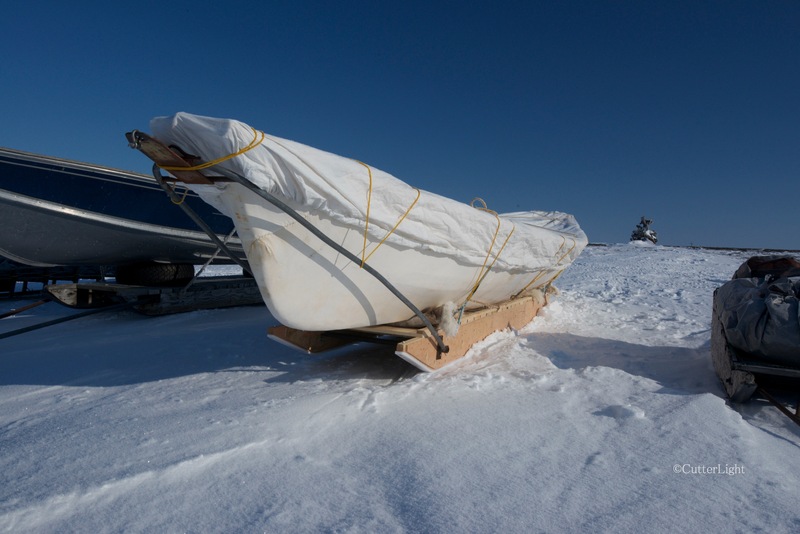 Bowhead whales constitute a vital part of the subsistence-based hunting and gathering culture in Point Hope. 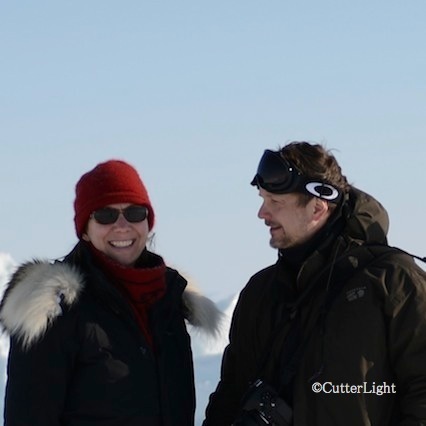 (Their numbers, which plummeted during the days when whaling boats from the world over pillaged the Chukchi Sea, are growing at a steady pace in recent years.) Seals and walruses are also culturally important. We are happy to take with us to our new home this piece of art that represent this beauty of this Arctic village by the sea. 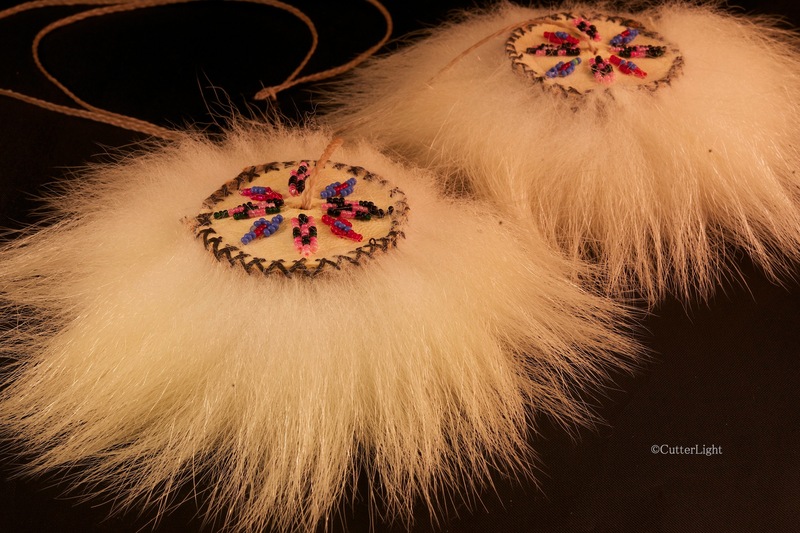 Fashioned from polar bear fur and finished with intricate beading, this Inupiat yo-yo has transcended it’s traditional purpose to become art. Based on a bola design, in olden times tools like this were made of rocks tethered together with sinew and were used to catch birds. Beautifully crafted by Molly Oktollik, one of the elders here in the village of Point Hope, Alaska, this Inupiat “yo-yo” isn’t what most of us envision when we hear the word yo-yo. In former times, they were made of rocks held fast on sinew tethers and in the right hands were a formidable tool for catching birds. Ptarmigan, for one species, are often easy to get close to, and ducks and sea birds returning to their headland roosts typically fly in on a low trajectory. These days yo-yos are crafted as pieces of art, or, when less elaborate, as toys. It takes a certain skill, but the two ends can be made to rotate in opposite directions – that is, with one end revolving around the center handle clockwise, and the other revolving counterclockwise. It’s a pretty cool trick if you can get it to work. 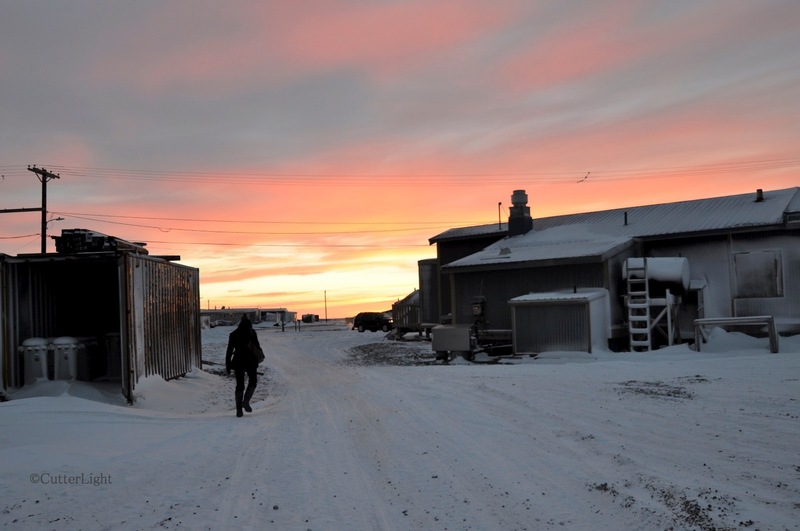 This photo was taken on December 22, 2012, a day in the midst of the month during which the sun does not rise above the horizon in Point Hope, Alaska. The sun dipped below the horizon 31 days ago on December 6 and did not rise again till yesterday, January 6. And yet, there was light each day, dim, brief, often breath taking. We walked to the beach on one of those days when the sun didn’t rise. It was about 3:00 pm, and the sky was filled with shades of red, violet, amber and gold. The sea, which lies just 300 meters or so from our doorstep, is locked in ice. This time of year, polar bears are always a possibility as they roam the ice, searching for food. 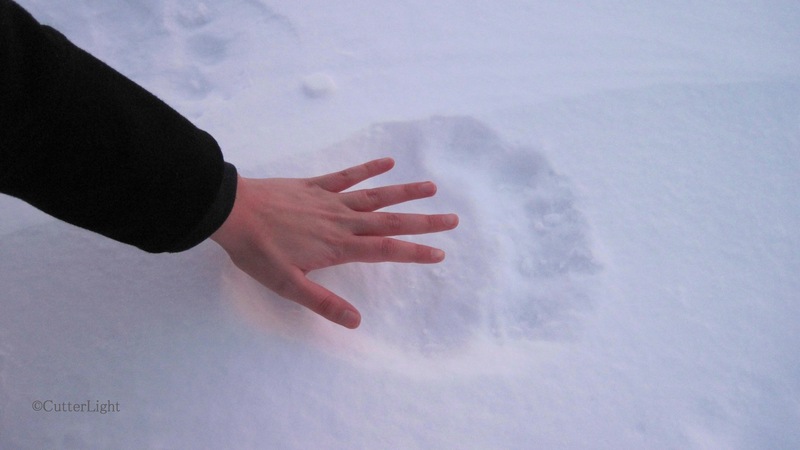 Maia’s hand is dwarfed by a fresh polar bear paw print. 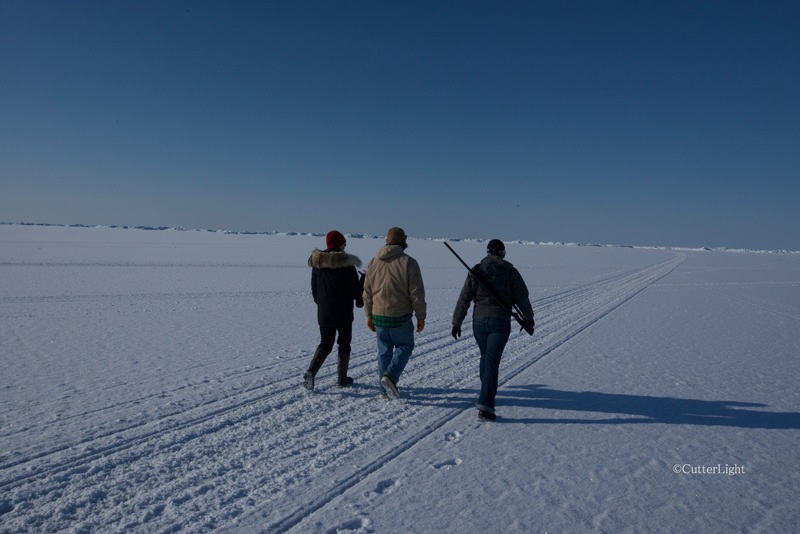 Edging the beach where ice met land was a fresh set of polar bear tracks. The evidence that we share this environment with these magnificent animals was thrilling – but also a reminder that caution is in order. We scanned in every direction as far as our eyes would take us. No movement. The bear had probably passed through in the dark of early morning. Arctic foxes often follow polar bears in hopes of dining on scraps of the bear’s kill. Above, you can see the small paw prints of a fox near the bear’s tracks. 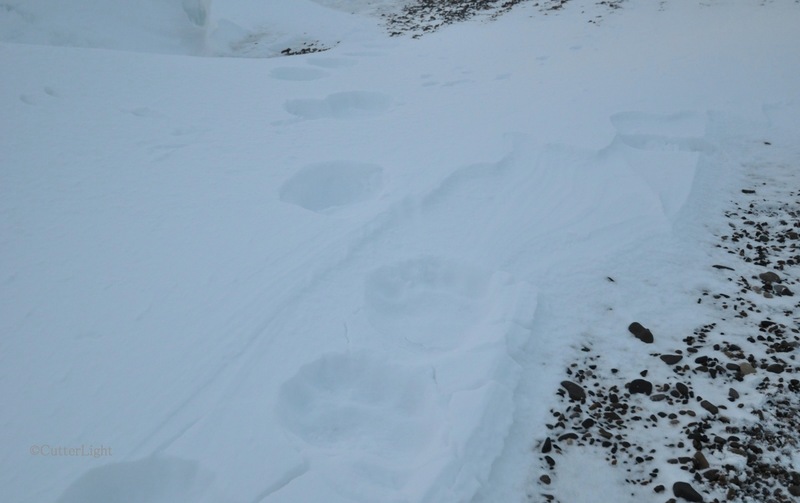 Notice the tell-tale scrape marks in the snow on the forward edge of some of the bear tracks. Their long claws leave these scrapes as the bears amble along. We waited and watched and listened. 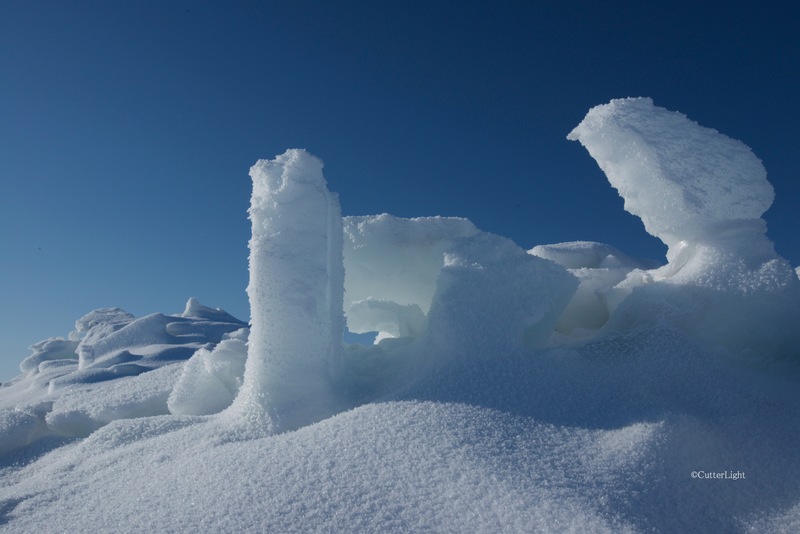 The wind moving over the seemingly endless frozen sea was all we could hear. In the distance to the east, we could see Cape Thompson’s snowy cliffs bathed in light etched against the pink horizon. As we walked along the edge of the sea, we found a murre, apparently exhausted, tucked into a snowy alcove against a bank of ice. The bird was lucky the fox had already passed by. Although the murre found the strength to take flight as we drew near, it is doubtful it went far. The Arctic winter is unforgiving. Daughter Maia was in the village for a two-week visit over winter break from college. Unfortunately, the Northern Lights didn’t cooperate, but the sky still put on some amazing displays.